Imagine if only 11 Real Madrid players were allowed to travel to Barcelona for the first leg of the Spanish Super Cup, and for the second leg in Madrid, only 14 Barcelona players were allowed to participate. Imagine the outrage. It sounds implausible because it is. But this is what happened in the recent Palestine Cup final, played over two legs between the West Bank cup holders Ahli Al-Khaleel and the Gaza Strip cup holders Shabab Rafah. Israeli restrictions on freedom of movement in and out of Gaza significantly impacted both teams during the competition. On 1 August, Shabab Rafah won the first leg 2-0 in Gaza, with all but 11 of Ahli Al-Khaleel’s players prevented from crossing into the besieged coastal enclave (an additional two players were added to the squad in Gaza). The return leg in Hebron on 4 August ended in a 0-0 draw, with only 14 Shabab Rafah players making it to the game. 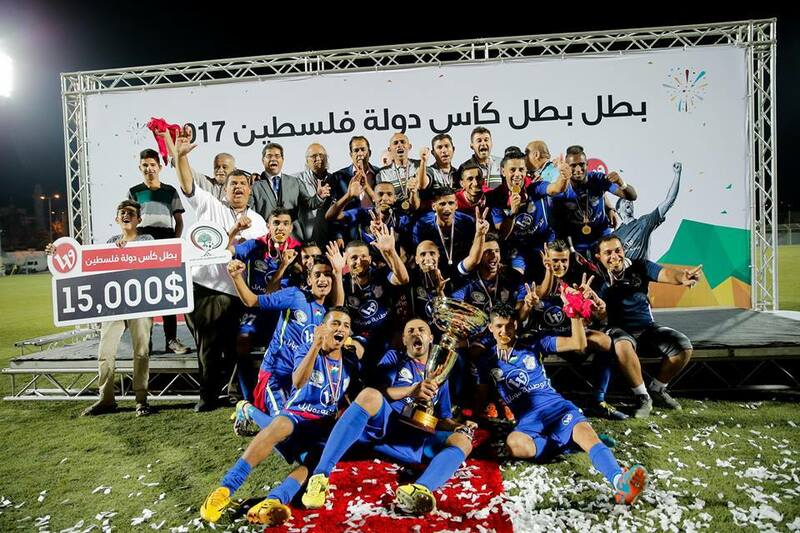 With a 2-0 victory on aggregate, Shabab Rafah became the first Gazan side to win the Palestine Cup in its current format. But having to worry about whether you will be able to field a full team and coping with missing personnel is not a situation that any team wants to face. In the first leg, injury to one of the Ahli Al-Khaleel players meant that the reserve goalkeeper had to come on in goal, while the starting goalkeeper was moved to play in attack. The restrictions on movement are part of Israel’s decade-long air, sea, and land blockade of Gaza, which severely limits the movement of people and goods in and out of the territory, and has crippled it. The United Nations, which in 2012 predicted that Gaza would become unlivable by 2020, recently warned that the “unlivability threshold” has already been passed. This year is not the first time that the Palestine Cup final has been impacted by Israel’s occupation. In fact, Israeli restrictions prevented the cup from being held for 15 years. When the current format began in 2015, the West Bank leg had to be postponed as players from the Gazan club were denied permits by Israel to travel to the West Bank. The same happened again in 2016. On both occasions, pressure from FIFA was necessary to get Israel to ease the restrictions and the matches ultimately went ahead. Ahli Al-Khaleel emerged victorious both times. Officially, Israeli authorities said that travel permits for the 2017 final were denied due to “security reasons” (as in 2015 and 2016) and the late submission of paperwork. But this just further highlights the absurdity of a situation in which Palestinian soccer players have to go through border security in order to participate in a domestic cup competition. Their restrictions are one of a number of reasons why Palestinians, through the Palestine Football Association (PFA) and separately via the growing civil society Boycott, Divestment and Sanctions (BDS) movement, have been lobbying FIFA to take action over the impact of the Israeli occupation on Palestinian soccer. Most recently, the focus has been on the presence of six Israeli teams in illegal West Bank settlements, in violation of both FIFA statutes and international law. The PFA has now taken its case to the Court of Arbitration for Sport, after FIFA again declined to take action on the issue at its congress in May. 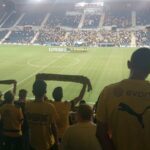 The resumption of the Palestine Cup final after its 15-year absence was the result of a compromise reached in May 2015, when the PFA agreed to drop its bid to have Israel suspended from FIFA in return for Israel agreeing to ease restrictions on the movement of players and equipment and help improve Palestinian sporting infrastructure. That the cup final has been able to take place three years in a row is welcome progress. But clearly issues remain, and the PFA is again calling on FIFA to sanction Israel if it continues to interfere in Palestinian soccer. The BDS movement, and civil society more broadly, has also become increasingly active in pressuring FIFA to take action. 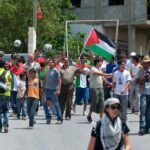 In the absence of decisive intervention by FIFA, the competition and Palestinian soccer in general will remain subject to the whims of Israeli authorities. Those who attempt to highlight the intersection of sport and politics are often told that they should ‘stick to sports’. As facile as this statement is at the best of times, it becomes even more ridiculous when the Israeli occupation is literally preventing Palestinian soccer players from playing the beautiful game.